Realm Makers is Proud to Present . . .
November was a crazy month with NaNoWriMo and Thanksgiving and all that fun stuff. Still, with your help, we managed to pull off the naming of Realm Maker’s very own Book of the Year Award. For the first time, at the 2016 conference, we’ll be awarding . . . Thank you to all who submitted suggestions and to all who voted. We appreciate you more than you know! 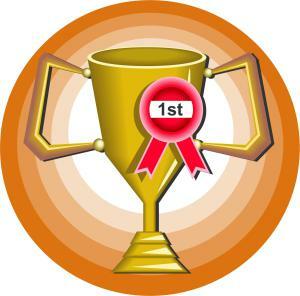 This award will be an award chosen from among submissions by a panel of judges. More information on the awards, the categories, processes, etc. will be forthcoming later this month. I will say that submissions will open on January 1, 2016! By the way, second place was a tie between The Beacon Award and The Alliance Award. Maybe we’ll use those for something else one day.